Fazenda Ambiental Fortaleza, Sao Paolo, Brazil. Lab number 991 – this was the 991st coffee to be assessed in the FAF tasting lab. The area the coffee is grown is known as Valley of the Italians. on terraces or raised beds with final dry mill preparations at Fazenda Ambiental Fortaleza. Julio Cesar de Leon, is from El Aguacatillo. His 3.3-hectare farm is shade grown and at a height of 1713 m.a.s.l. Julio grows Catuai and Caturra, he has 42 years of experience in growing coffee and has been a member of Esquipulas Cooperative for ten years. Julio Cesar de Leon is an active member, always involved and concerned with the growth of the cooperative. Members: 212, of which 46 are women. Youth are interested in coffee production, and see it as a viable income. Most farmers are planting more trees every year, and renewing and pruning. The President of Cooperative has 600 trees and planted 300 trees this year, most farmers plant about 100 trees a year.The Cooperative employs 124 people at the pulper and drying tables, workers have contracts and workers names are recorded each day. Work hours are 7am-4pm with 1hr lunch break. The income of members has increased more than x3 since the cooperative was created. They have built new homes, bought more cows, goats, paid for school fees, pay for medical insurance. The Central Washing Station has had a very positive influence on households. All members have cows. They use cow manure for their coffee trees. 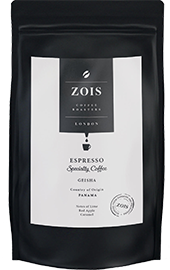 Graciano Cruz, an experimental agronomist has created a farm at Los Lajones under perfect conditions to undertake research on producing exquisite and delicious co­ffee. The farm was first planted with coff­ee in 1992; before this it was cattle pasture which means the volcanic soil is enriched with organic nutrients supporting high quality coffee production. woodland. Los Lajones has a strong biodiversity principle, focussing on botanic, birds, mushrooms and butterflies – all indicators of a healthy environment. This post-harvest process is derived from the traditional techniques that originates from Ethiopia where fresh picked coffee cherries are sun dried and then hulled before roasting. At Los Lajones the difference is all down to the meticulous attention to detail. Only perfect red ripe cherries are selected, which are laid out directly onto a raised African bed structure that permits air to circulate around the coffee. This speeds up drying to give an even and thorough finish and extremely clean, sweet flavour to the coffee. 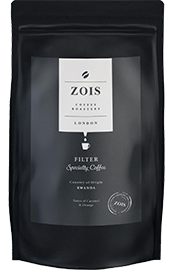 Incredibly sweet coffee, mix and match of ripe fruits: Pineapple, Passion Fruit, Lemon, Ripe Cherry. Hint of coffee blossom and tea-rose in the finish. The term ‘Specialty coffee’ or ‘Speciality coffee’ is used to refer to coffee that is graded 80 points or above on a 100 point scale by a certified coffee taster (SCAA) or by a licensed Q Grader(CQI).